The man behind the D.E.W. 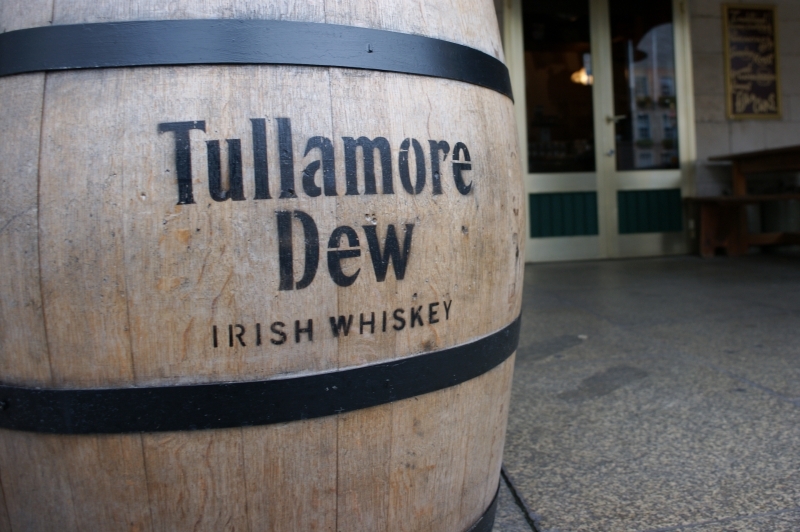 The first production of the whiskey now known as “Tullamore Dew” was in 1829. The name came from the initials of the man who later owned the distillery and took this produce to the rest of the world - Mr. Daniel Edmond Williams. Daniel E. Williams was certainly made of the rare stuff. His earliest days in the distillery were spent shovelling malted barley; his night spent sleeping in the hayloft. He was the ultimate self-made man, propelling himself quickly through the ranks. In 1873 he became General Manager and ultimately owner of the distillery. Single-handedly, he began to turn a good whiskey great. Some time later, this accomplished, he proudly marked every bottle from the Tullamore Distillery with the initials D.E.W. Like the whiskey, the Visitor Centre is for those who want a taste of the exceptional. It’s for those who search for hidden depths, embrace discovery and put their faith in the genuine. You’ll begin with the birth of a brand and end with it in your glass – your very own personal tasting session. See how they use malting to trick our barley into growing, hear the tales of the distillery’s early workers and find out how the angels always get their share. The full tour takes in every step of the artisan craft of whiskey making, each stage a story, told through captivating audio-visual media and the good old Irish charm of expert guides.